Fernandes succumbed to prolonged illness, said reports. 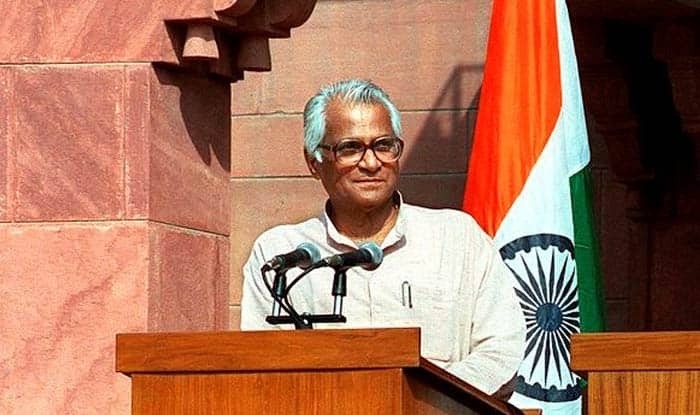 New Delhi: Former defence minister George Fernandes passed away early on Tuesday morning, reported ANI. He was 88. Fernandes had Alzheimer’s disease and retreated from active politics in 2010 when he served as a Rajya Sabha MP. Some reports also suggest that Fernandes suffered from Parkinson’s disease as well. Recently, he had contracted swine flu, said reports. Fernandes was a key member of the Janata Dal and the founder of the Samata Party. He also held several other ministerial portfolios, including communications, industry and railways. Soon after the news of his death, tributes poured in from political leaders across the spectrum. Congress President Rahul Gandhi also condoled the demise of Fernandes. “I’m sorry to hear about the passing away of former Parliamentarian & Union Minister, George Fernandes ji. My condolences to his family and friends in this time of grief,” he said in a Facebook post.